Windows 7 ISO latest version: How and where to download? Windows 7 ISO, why you need it? 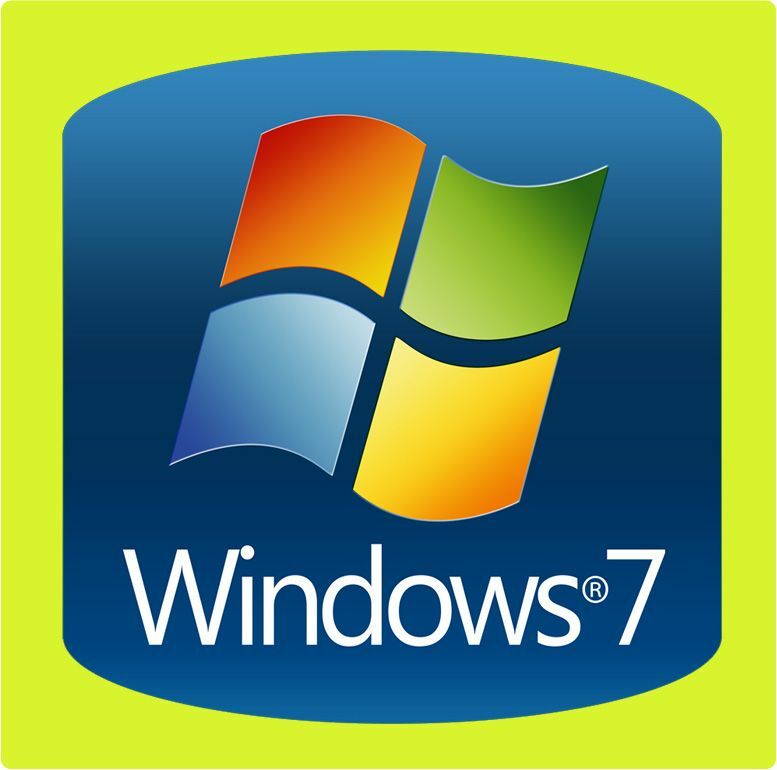 When buying a new laptop or desktop, usually it is not bundled with free Windows 7 DVD disk. All that you have is a Windows recovery disk or a recovery image partition in your hard disk. The problem is, when your hard drive suddenly fails and become unusable your recovery disk and image partition may not help. If you purchased a Genuine Windows DVD disk or Windows 7 ISO image online, still there is a problem. What if you break your Windows 7 DVD or lost your ISO image? If you backed it up, then good — but if you did not? You need to download fresh, clean, untouched, virus free, updated and legal version of Windows 7 ISO. The good thing is Microsoft enable us to download all versions of Windows 7 ISO according to our needs through Digital Rivers website which happens to be Microsoft’s licensed software distributor. Note & update: Recently, Microsoft removed all the Windows 7 ISO links from Digital Rivers. Unfortunately, links from Digital Rivers are no longer available. However, Microsoft decided to host the Windows 7 ISO to its website together with Windows 8.1 ISO and Windows 10 ISO. All you have to do is to visit Microsoft’s Download Center select Windows 7 and input your Windows 7 Genuine product key to download the ISO. How and where to get my Genuine Product Key? Check the Product key sticker or Windows Certificate of Authenticity (COA) at the back of your Laptop, DVD or Desktop. If it’s already faded and unreadable you need to follow this guide. Where and How to find lost Windows product key in Windows 7, 8, 8.1 and Windows 10, to reveal your product key. 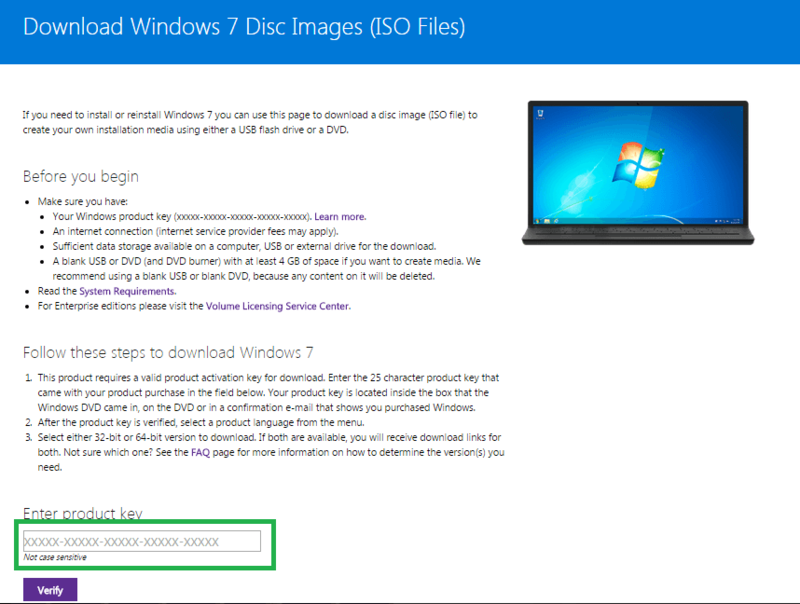 Copy the product key and paste it on “Enter product key” section at Microsoft’s download center. Then click “verify” for verification and to proceed to Windows 7 ISO download area. Why can’t I download Windows 7 ISO using OEM license? Recommended: Windows 8.1 ISO free download legal version. 1 GHz or better 32-bit (x86) or 64-bit (x64) processor. 1 gigabyte of RAM (32-bit) or 2 GB RAM for (64-bit). 17 GB of available hard drive space (32-bit) or 21 GB of hard disk space (64-bit). DirectX 9 graphics device with WDDM 1.0 or later driver. If your Computer meets the minimum requirements above for Windows 7, you are now ready to download the Windows 7 ISO. Rest assured that this version is clean as white. Please be guided that downloading from torrent sources (though not all) may compromise your computer’s security. So, it is wise to download Windows ISO from Microsoft website or from trusted download mirrors such as above. Any concern or questions about Windows 7 ISO? Feel free to express it at the comment box below. It will be highly appreciated. The best Windows 7 ISO guide. Thanks a lot! Is this Windows 7 ISO file is compatible all dell machine? So far, there were no incompatibility issues. Thanks for this step by step guide on how and where to download Windows 7 ISO legally. My gratitude also to Microsoft for providing the ISO for free. thank you for offering this hopefully it’s the real deal for everyone who’s looking for it. will report back if it is. will this work with a windows 7 “PRO” oem key? Hi mb, this Windows 7 ISO is also compatible with OEM licenses. I will repet Peter’s question though, what integration of updates is this? I know one can update manually afterwards but what installation kit is this? December 2015, January 2016 or standard SP1? You are welcome Lazarus! By the way it’s standard SP1. Please ,can you tell me Windows 7 ISO OEM license include December 2015 updates? Is an untouched Windows 7 image? Hi Peter, you can enter your Windows 7 OEM license in this version of Windows 7 ISO. Regarding the updates, you can update it anytime after the installation or in your most convenient time. Just make sure that your PC or computer is connected in the internet.